This article is contributed by Smriti Pandalai (Batch 2015-17). 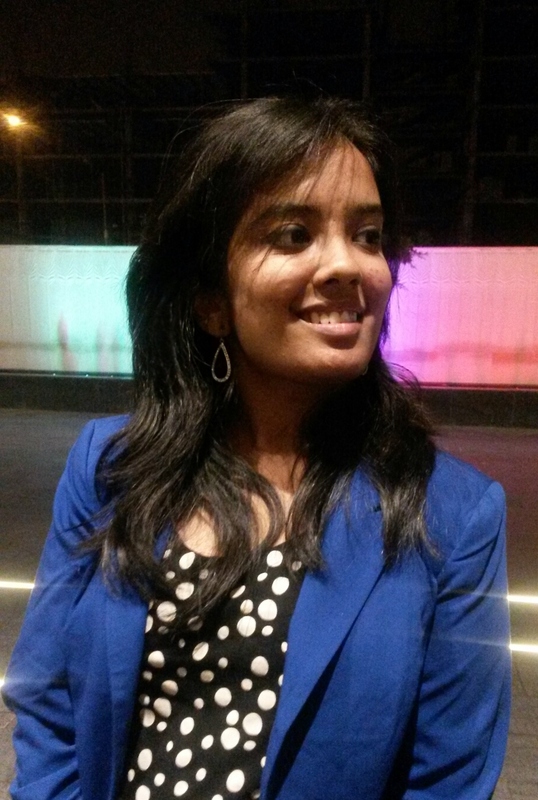 Smriti is a part of the JEdi ( Junior Editor) team for 2015-16. “Orientation 2015 for a period of 3 weeks, commencing on the 4th of June” – this is what the offer of admission from SIMS, Pune read. All I was expecting was chaos in a world of the 9 yard wonder, the saree – but I had no idea what we, as a batch were heading into – a rollercoaster ride of a lifetime. I still vividly remember faces wearing puzzled expressions of doubt, curiosity, anxiety, and excitement while standing under the sacred dome in the academic block – adjusting their ties and sarees, making sure their hair was in order and ensuring they had their ID card on. A typical morning would pan out in this manner – multiple alarms setting off all within the space of a few minutes of each other at 5.30 a.m. to make it for the 5:45 a.m. fall in. Everyone jostles with one another to brush in their zombied state because no one wants to miss out on the amazing morning sessions, be late and land a penalty. These were the most eagerly awaited sessions – the rigorous jog that pumped up our morning, the adrenaline filled dance and aerobics routines that would allow us to let our hair down and have fun, the calming meditation and yoga classes where invariably most of the class would refuse to snap out of the popular Shavasana position. But hey, wait on; an entire packed day was still ahead of us. Post the scrutiny of our turnout under the dome, we would head to our respective classrooms where a plethora of discussions took place on the various specializations on offer. We were fortunate to interact with professors, alumni and experienced professionals from various fields of the business world who patiently answered the volley of questions being fired at them. The post lunch auditorium sessions with the guest lecturers were insightful, engaging and interactive. But of course, we had to be pulled up for dozing off in the very comfortable confines of the air conditioned venue. That invariably led to batch penalties being doled out at the famed batch meets. Yes the most dreaded part of the day – the maha gathering of the Student Council, where your every move, literally speaking, could dictate your sleep pattern for the rest of the night!! Wrong introduction PENALTY..Incorrect assignment format PENALTY..this was definitely the celebrated word of the month. Penalties were dished out dime a dozen, but make no mistake, there was an incentive too. Penalties were excused for excellent performance as an individual, group or batch as a whole. The very same senior council members were more than patient in answering our endlessly inane queries and joined in the revelry during the inbound activities too. Finding your “pentamate” was a treasure hunt in itself. But once done, the market survey got us to push our boundaries and really gel as a unit. Additionally, the business exercise further built on this principle and we let go of our inhibitions to land a job and actually make some money. 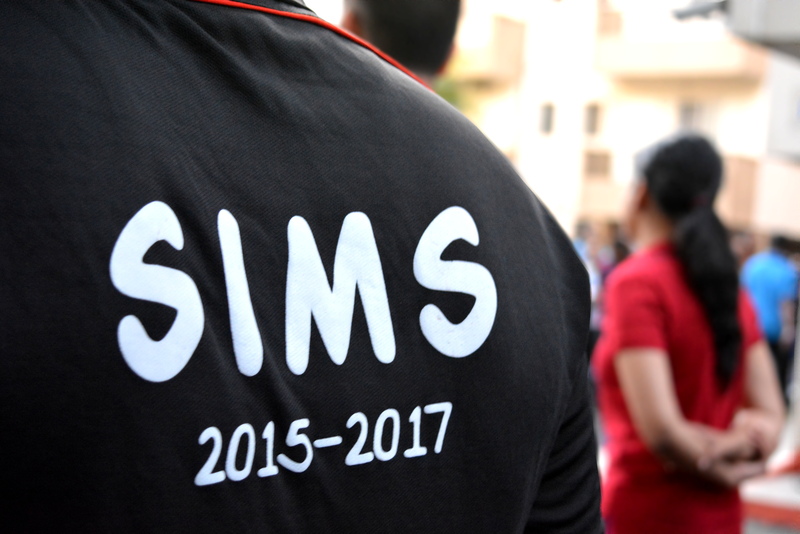 They say tough times don’t last, but tough men do and well that sums up the SIMS way of life. Orientation 2015 drew to a close in a very dramatic manner with the curtains coming down on a memorable experience that tested our limits, challenged us in a completely new light and ultimately helped us bond and break the ice with each other. This is a chapter of our lives that we will look back on and fondly recall in the years to come.